Jackfruit is a large fruit that grows on the jackfruit tree and has recently become popular in cooking as a meat substitute. This is a tropical to sub-tropical tree native to India that grows well in the warmer parts of the U.S., like Hawaii and south Florida. If you are thinking of growing jackfruit from seeds, there are a few things you need to know. Can I Grow Jackfruit from Seed? There are multiple reasons to grow a jackfruit tree, but enjoying the flesh of the large fruits is one of the most popular. These fruits are enormous and grow to an average size of about 35 pounds (16 kilograms). The flesh of the fruit, when dried and cooked, has the texture of pulled pork. It takes on the flavor of spices and sauces and makes a great meat substitute for vegans and vegetarians. Each fruit may also have up to 500 seeds, and growing jackfruit from seeds is the most common method of propagation. 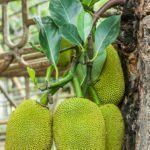 While growing a jackfruit tree with seed is fairly easy, there are a few factors to consider, such as how long they are viable. Jackfruit seed propagation is not difficult, but you do need to get seeds that are fairly fresh. 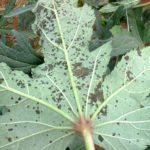 They will lose viability as soon as a month after the fruit has been harvested, but some may be good up to about three months. To start your seeds, soak them overnight in water and then plant in soil. It takes anywhere from three to eight weeks for jackfruit seeds to germinate. You can start the seedlings in the ground or indoors, but keep in mind that you should transplant a jackfruit seedling when there are no more than four leaves on it. If you wait any longer, the taproot of the seedling will be difficult to transplant. It is delicate and can be damaged easily. Jackfruit trees prefer full sun and well-drained soil, although the soil may be sandy, sandy loam, or rocky and it will tolerate all these conditions. 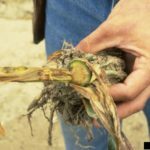 What it will not tolerate is soaking roots. Too much water can kill a jackfruit tree. Growing a jackfruit tree from seed can be a rewarding endeavor if you have the right conditions for this warm-climate fruit tree. 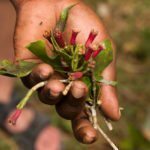 Starting a tree from seed does require patience, but jackfruit matures quickly and should start giving you fruit by the third or fourth year. 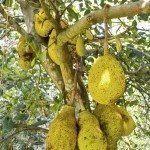 Read more articles about Jackfruit Trees.